I spent the weekend working on the finishing of the blanket for Tia Coleman. Everybody please send out a thought and a prayer for her—remember that for the past twelve weeks she has been living a new reality that is all but unimaginable. I have to say, I welcomed the opportunity to complete this blanket. 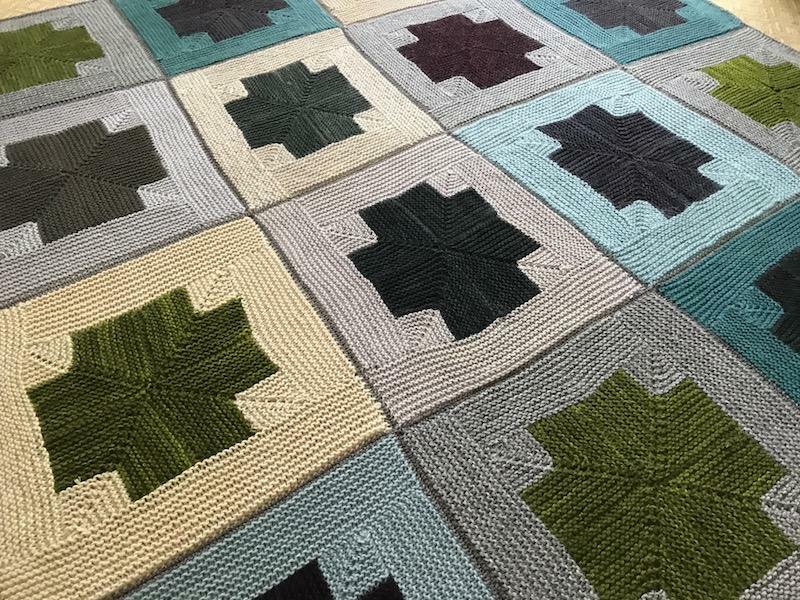 Order out of chaos is the theme of the moment, and it has been good to bring together the work of knitters from all over the country, and England, too. Thank you to Nell, Julibeth, Mary Anne, Jeanne, Kate, Ellen, Mary, Irene, Sue, Charlene, and Kay for making Tia’s blanket happen. Pick out yarn for the joining. I excavated a magnificent giant ball of Ton of Wool. Its mild gray color was the exact frame I was hoping for. Arrange the squares in a way that looks good. This went on for a while. Watch out for outlier squares and face into what needs to happen with them. The two outliers I discovered were my own. Too big. 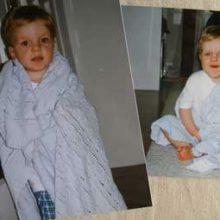 I sat them down and explained that they would find their destiny in a blanket, but not this blanket. They were philosophical about it. Get your needles figured out. 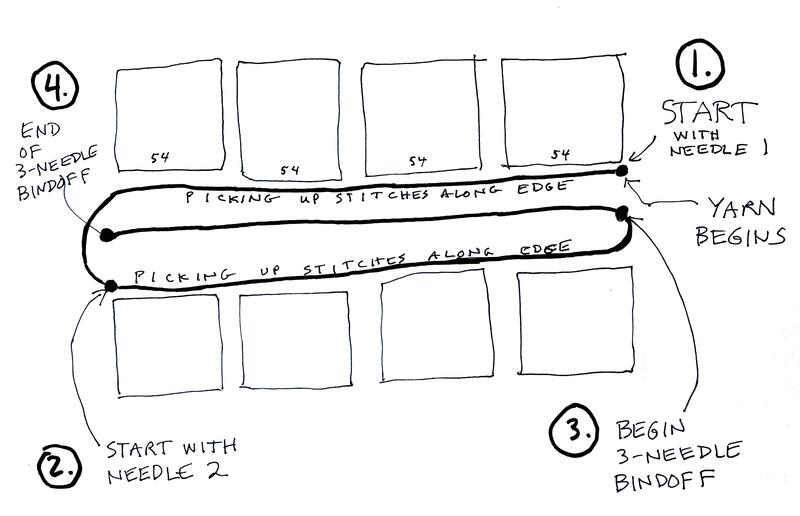 Three-needle bind off requires, amazingly, three needles. And the i-cord border uses DPNs. Figure out your seam game. 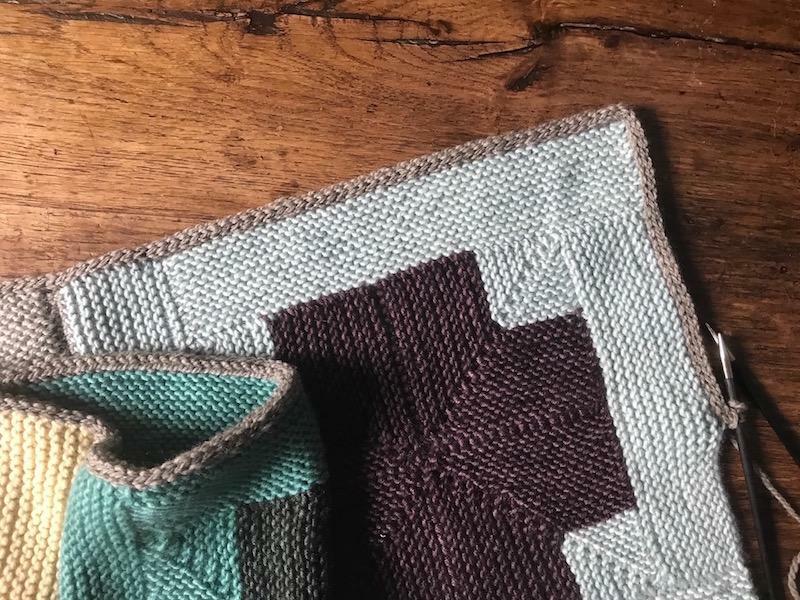 This blanket is 4 squares by 4 squares. 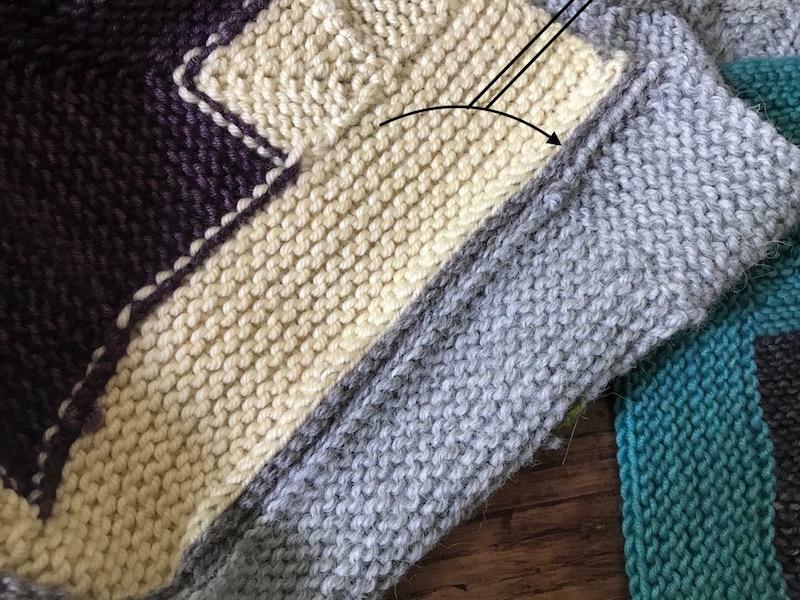 I wanted to seam it with the fewest possible ends, so I used one length of yarn for each seam—for picking up and knitting stitches and for the bind off that follows. Another way to do this would have been to seam individual squares together to create strips of 4, then seam the strips together. This would have added a lot of ends to this blanket. Here’s a really awesome graphic showing what one length of yarn can do. Follow the numbers 1, 2, 3, and 4 for the full journey. Really sorry about this crap drawing but I’m low on caffeine here. Step 1. 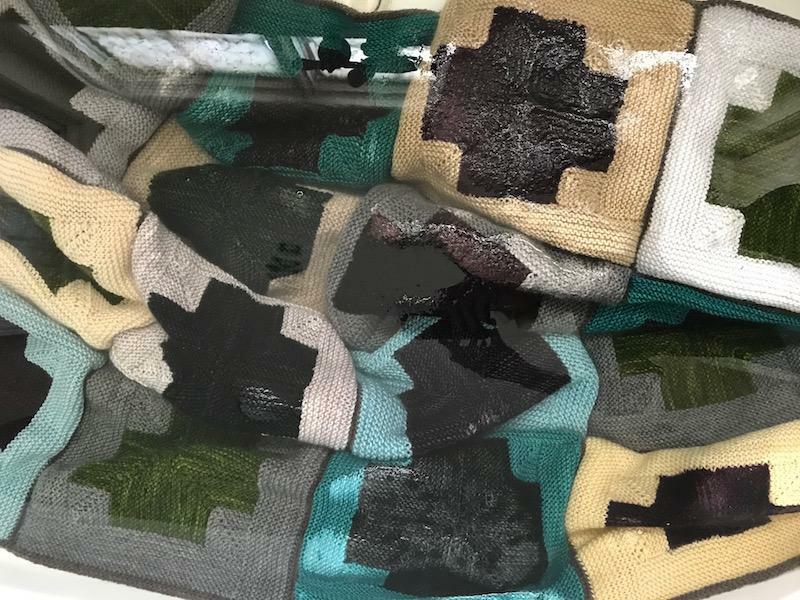 I picked up and knit along the edges of 4 squares. You can see the long needleful of picked-up stitches. Weirdly satisfying. Step 2. I put that needle aside for the moment, and did not break my yarn. 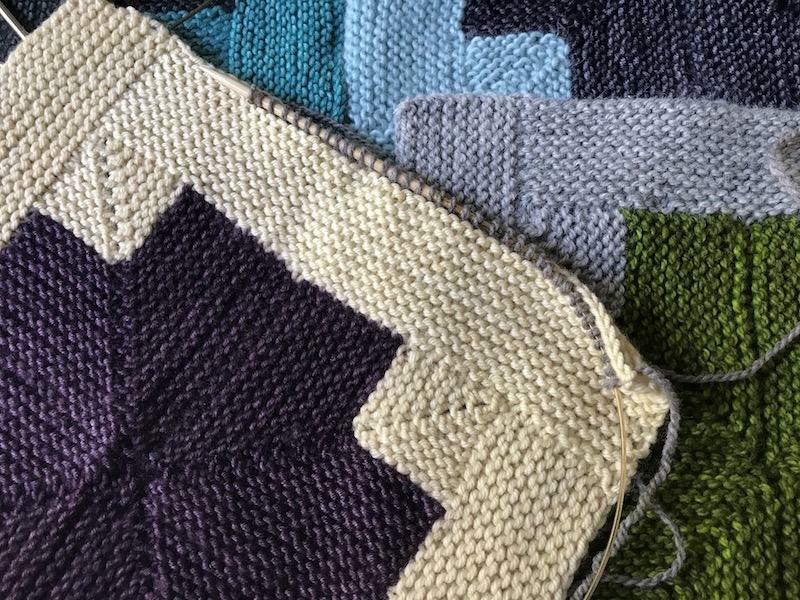 I fired up needle 2, using the unbroken yarn from needle 1 (it takes some TLC to do this), and picked up and knit along the edges of the next set of 4 squares. 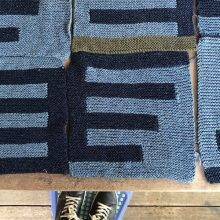 You get really good at counting to 54 as you pick up and knit the stitches along each edge. Step 3. I did the three-needle bind off to join the eight squares. Step 4. It is a gratifying moment to arrive at the final stitch on a long three-needle bind off. Especially when you’ve used exactly one length of yarn. You feel like you’ve really done some connecting. You really need to do this work at a table to keep from yanking the thin little connectors. I repeated Steps 1-4 for the final three seams. Here’s what the front side of the seam looks like. And here’s the back. It’s a ridge of bound-off stitches. I continued in this manner until I’d done three-needle bind off on all six seams. At which point I settled in for 15 feet of i-cord edging. 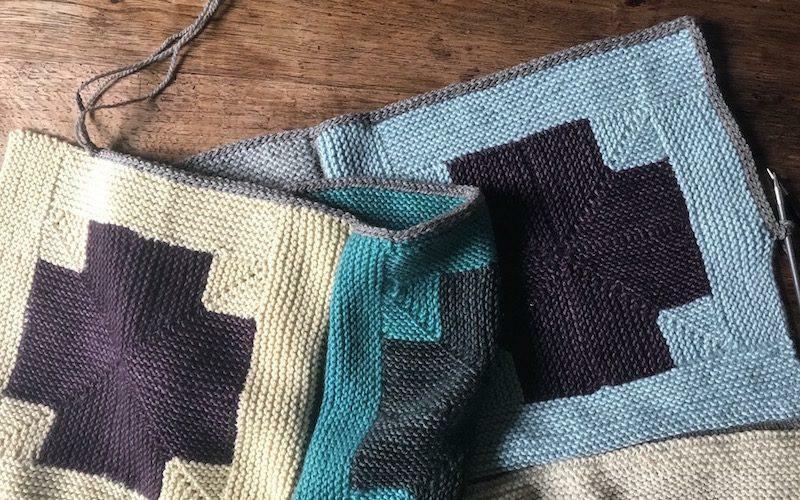 If you’re new to this most wondrous finish to a blanket, here’s a great video tutorial. After all this moving and grooving, it’s important to give your finished (finished!) blanket a final bath. You can see here how puffy the seams are. A soak in the tub, cold water only, lets it all come together. Spread out, still drying here, you can see what I’m talking about. There are many metaphors that come to mind when putting together a project like this. 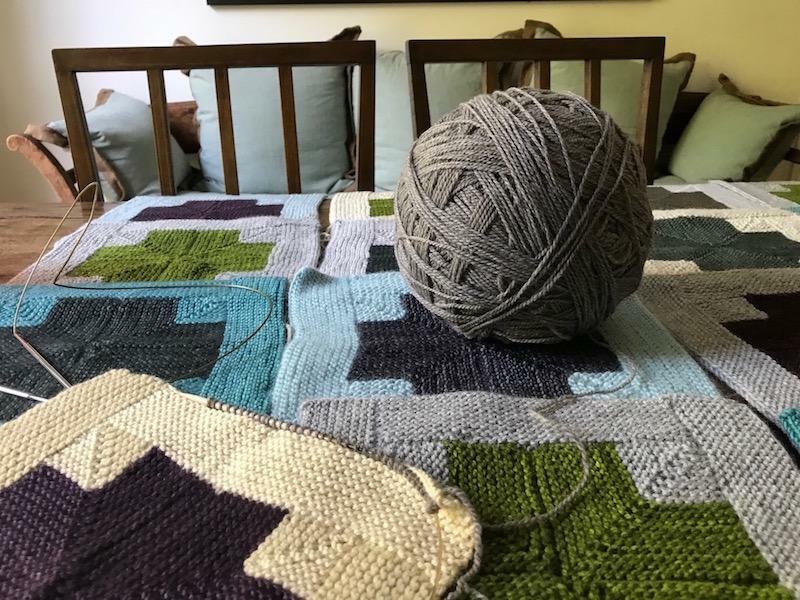 Mostly, I thought about Tia Coleman, the knitters who joined me in this project, and the idea that everyday life is something to pay attention to, to relish, to treasure. The groups of blanketeers over in the Lounge continue to work on their Team Blankets. Such fun! Such dear humans! Join in if you’d like to make a square. Email me if you’d like to lead a new team for a blanket you’d like to organize. Beautiful blanket, beautiful hearts …..
A wonderful piece of love. Tangible evidence that the world is filled with good people who care about each other. Thank you for the constant reminders of this each day. 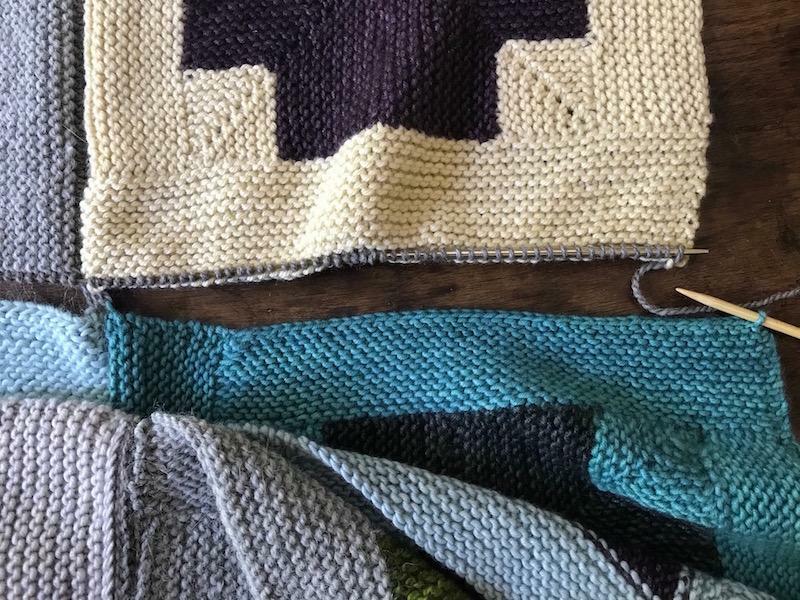 This is so much more than just another knitting blog. Amen. And the blanket is beautiful. Thank you for making the world a more caring place. This is a beautiful blanket which I hope Tia will find comfort in. And thanks for your tutorial in how you out it all together! Ann. I almost cannot take how powerful this is. 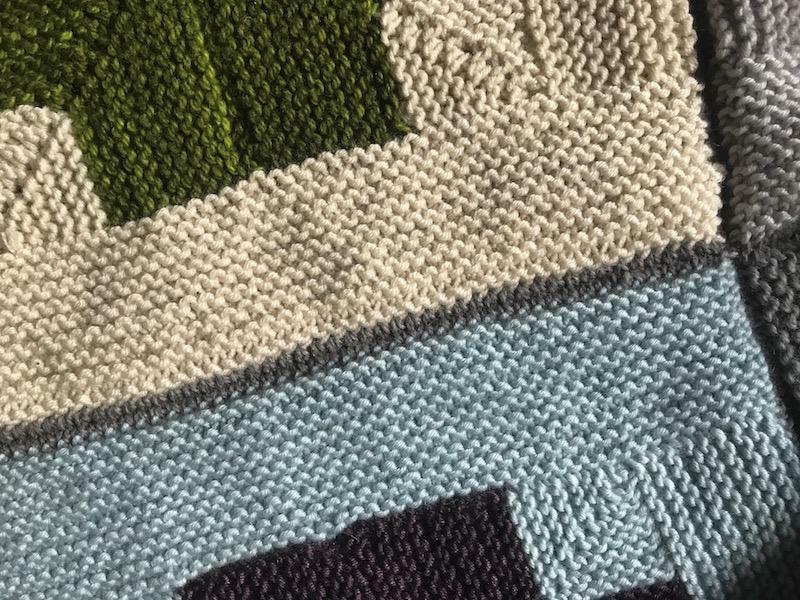 Also, YOU ARE A FLIPPING GENIUS with the idea to join up those free-floating, unseamed squares with three seams, and then running three more long seams across those seams. 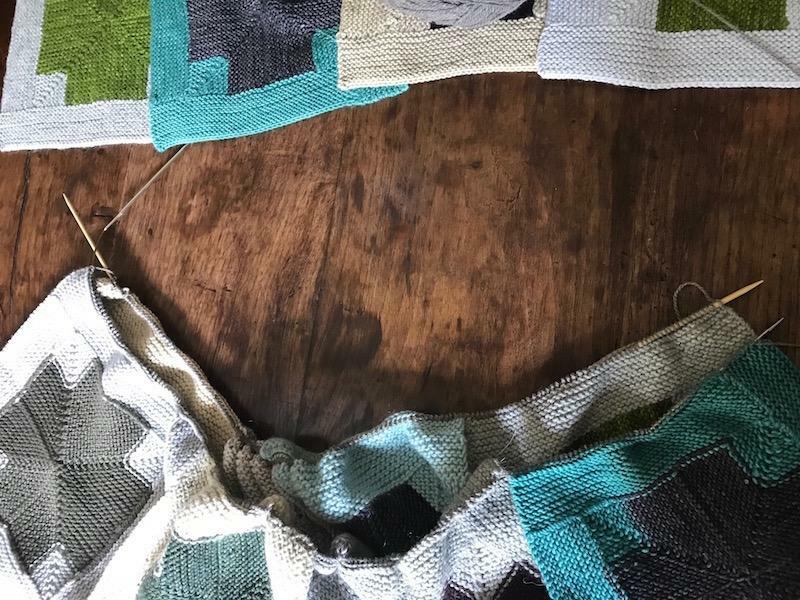 Having soldiered through weaving in about 200 ends recently seaming together a 5 X 6 square nightmare, I agree this sounds like a wonderfully simple and clever solution. But I’m having trouble envisioning what to do at the corners. That is, when you are working your way across your strips (say, horizontally) and you come across one of the original (vertical) seams. Have those 2 picked up sts and the BO that joins them disappeared completely so you BO right over them? Or should you somehow pick up a st (or 2?) from them as you pass through in stage 1, then BO them together at stage 2? Such a good question! Basically, I just jumped over the seam and kept binding off. You need to add a little slack over those two seam stitches so it doesn’t get all pinchy. I got better at it as I went. 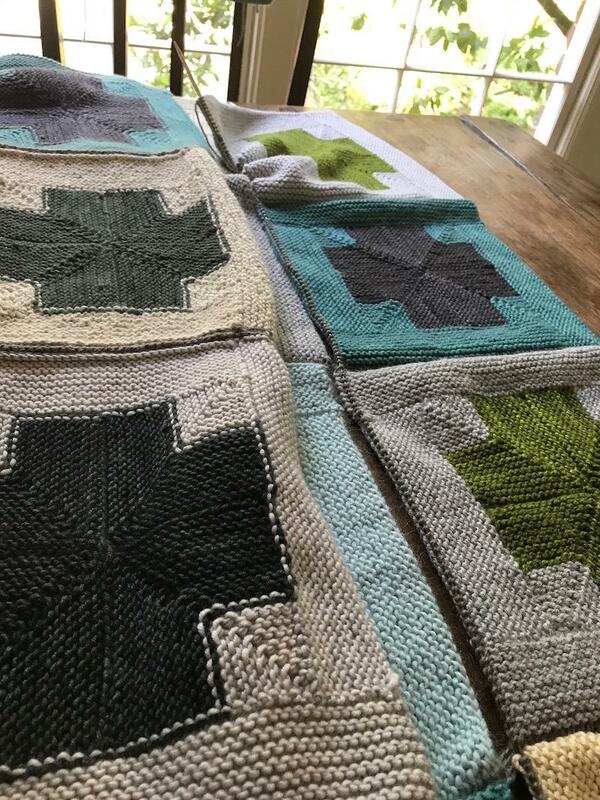 Thanks – now I can’t wait to do another blanket! And that (very NOT) crap drawing was perfect! I totally understood what you meant from your illustration! Another Amen! That chart is worthy of a MacArthur. What an amazing and beautiful testament to the good in our community. Thank you for pulling us together to lift Tia up. PS Hooray for the brilliant finishing tutorial! What a beautiful piece of writing. 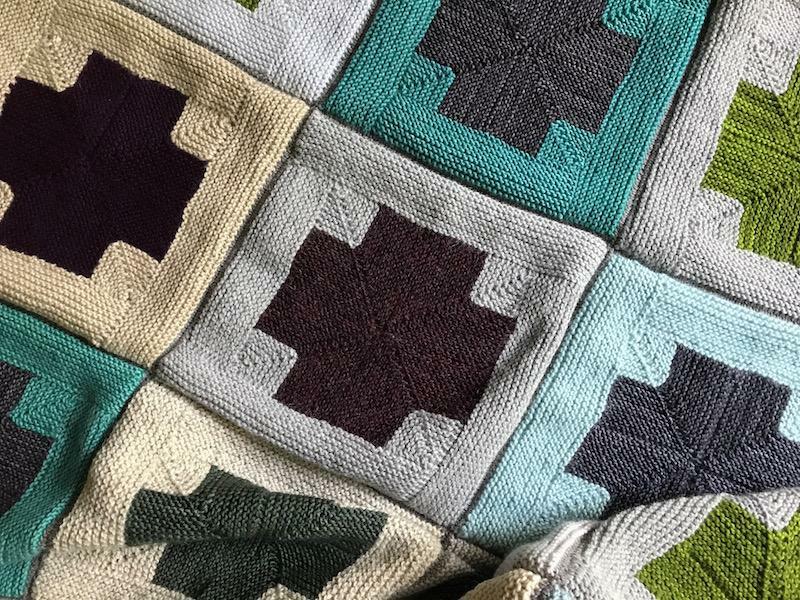 Your description of the mixture of empathy, generosity, skill and gentle humour that has resulted in such a lovely blanket is a pleasure to read. Hopefully this blanket will bring a little warmth into Tia’s life. Very clever, Ann. The finished blanket looks fab! The illustration really helps. But I have a question: if I understand correctly you seemed the squares in one direction, then turned the thing and seemed in the other direction, making six seams. 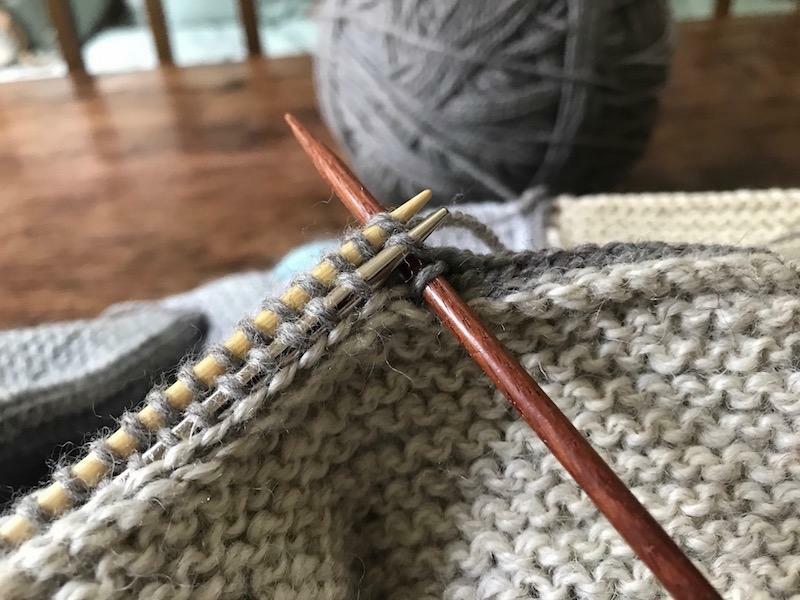 But how did you avoid lumps and humps where one three needle bind off passed over the bind offs going in the other direction? Understand my question? This whole is infinitely greater than the sum of its parts. Thank you, Ann, for allowing me to contribute. What a beautiful and warming gift. So glad you could organize such a worthy cause. Bless her and give her strength. Bless you and the ones who contributed. Beautiful blanket. 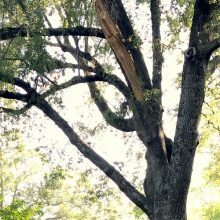 I can’t help but think there are going to be a whole lot of people in northern Florida/panhandle area that are going to need a whole lot of help, love, and support after this awful nightmare storm Michael gets on out of here today. I have family in harms way. Please if you would pray for there safety. This is so beautiful. I could feel the love and prayers that went into each stitch. Thank you for sharing this. May Tia be blessed by all of the Love and Light you have shared. So much love and kindness here, in a time that feels so dark. Absolutely beautiful blanket that will hopefully bring her some comfort. Such a beautiful blanket, with love in every stitch. 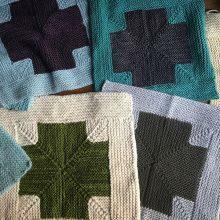 And a brilliant stitching together, of blanket squares and lives. Thank you Ann, for dreaming this into being. So much ❤️ for this, everything, everything! And so glad to be a part of the team blanketeering wave which followed this. 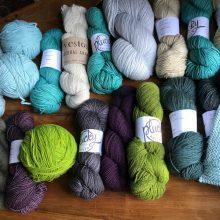 Delightful to connect with such a fine group of knitters and, most importantly, people. What a thing of beauty, both the finished blanket and the knitters who contributed. Some powerful love and it shows!! What a gorgeous creation! And all the more beautiful for all the love knitted into it. I hope Tia Coleman feels wrapped in a comforting hug – from all of us. Wow!!! Very impressed with the beautiful job you did joining. Thank you for sharing your instructions. Can you remind which of your books this pattern is in? I think it must one of the ones I do not (yet) own. Hi Betty! 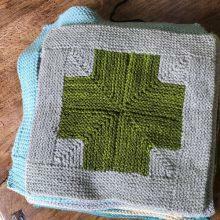 The pattern is a charity pattern we published years ago on Ravelry–Mitered Crosses Blanket. All proceeds from sale of the pattern go to Mercy Corps, a nonprofit relief organization. Wow, I wish I had thought of that when I sewed up my last blanket. What a gorgeous gift filled with love. It’s so good. So much good. But I would have TOTALLY picked up a Susan Bates crochet hook and hooked it. But it’s kind of better with the knitting, innit? Not sure I would ever be organized enough to lead a blanket but thinking there are thousands of hurricane victims that will need blankets. We could start with the babies and go small and fast. Not to mention that all mommies and daddies would want us to start with the babies. This is gorgeous, and the finish is genius. The first time I read this, I had no idea what was going on. Looking at it again today, I think I understand (aside from trifling details like how to do 3-needle bind-off, and how to do the edging, both of which I’m sure I can find details on elsewhere). Thank you for offering a satisfying challenge to the brain as well as soothing solace to the spirit.